When it comes to hot water systems, Alan Oxford's Plumbing & Electrical provides the complete service. As experts in hot water installation, repairs and replacements in Hills District and Parramatta Area, our team can help identify your hot water needs and recommend the solution that best suits your family home or business. Our team of local plumbers can offer same day service for gas and electric hot water installations and repairs to satisfy any customer requirement. We also have certified gas plumbers to repair and replace gas hot water systems and can remove and dispose of your old hot water systems from your property. We also supply and/or install Australian DUX hot water systems providing our customers with the ultimate convenience. At Alan Oxford's Plumbing & Electrical, we handle warranty paperwork and register customer details with DUX directly following to installation to ensure our customers do not need to worry about completing lengthy paperwork in a particular time frame. 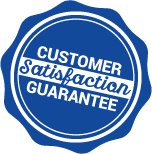 Our customers are also guaranteed a 5-year maintenance service on hot water system parts that we supply or install in order to ensure that your service and safety needs are met for your home or business. (02) 9894 9623 – If you’re looking for a plumber in the Hills District for hot water repairs, installations and maintenance, call now to request a booking or fill out the form on this page.